When it comes to buying used photography gear, there are plenty of options around the web: eBay, Amazon, KEH, B&H, and Adorama. 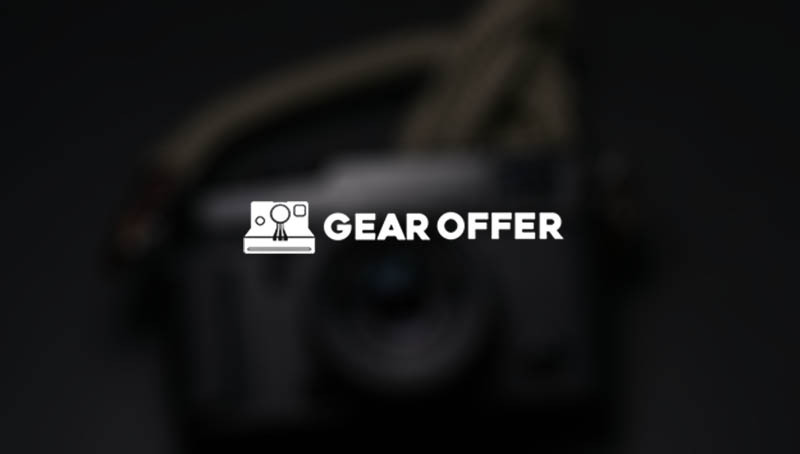 Now, there’s a new option — Gear Offer, a photography-specific marketplace for selling and buying used camera equipment. Based out of Scottsdale, Arizona, United States, Gear Offer is a self-proclaimed “marketplace just for photographers that’s hassle free, priced fairly and continually improving” founded in March 2017. Trusting a new online marketplace isn’t always easy, but Gear Offer clearly lays out its terms of service and guidelines on how selling and buying items works. Listing items on Gear Offer is free. There’s even a built-in pricing tool that uses recent sales of identical products as a guideline for what price you should set your item(s) at. Once the gear is listed, it’s a matter of waiting for someone to click the “buy now” button on the product page or make an offer that’s accepted. Once an item is purchased, the funds from the buyer will be transferred to their Gear Offer account. The seller then packs up the item, ships it off, and adds the tracking number to the purchase on Gear Offer. The buyer will then receive updates until the item (hopefully) safely arrives on their doorstep. After the payment has cleared, which Gear Offer claims is “typically in 2 business days” the seller will receive their funds. 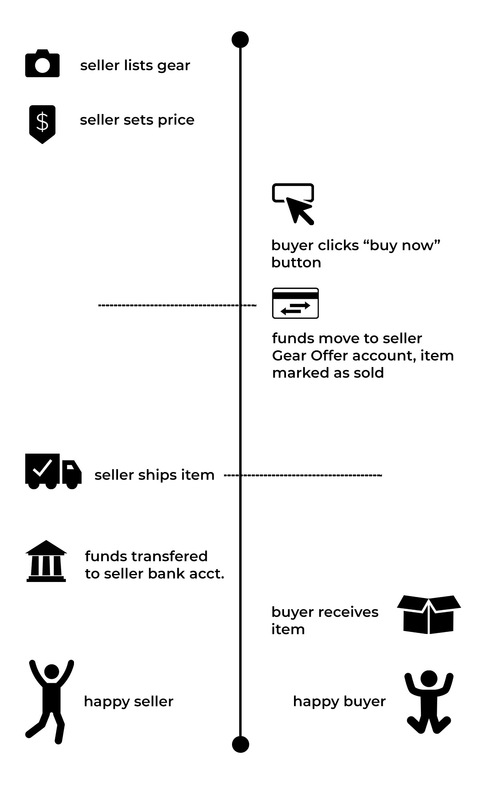 Below is a chart provided by Gear Offer that illustrates the timeline of the buying and selling process. To protect against fraudulent accounts and activity, Gear Offer says it uses machine learning to continually evaluate the risk of certain sales and transactions. It also relies on reviews from buyers and sellers to help build trust between frequent users. In the event something does go wrong, Gear Offers says customer service is provided by “real live humans,” and not ones in offshore call centers. To confirm this claim DPReview tested the Gear Offer contact line by calling at roughly 4pm ET on a Saturday and after stating its name via a Google Voice operator service, DPReview was connected to a line that was eventually directed to a voicemail that said we would hear back “as soon as possible” regarding its inquiry. DPReview called again five minutes later in a secondary effort to contact the Gear Offer team and was immediately connected with a representative from the company. Gear Offer makes its money is through a 6.9% processing fee when an item is sold, similar to how eBay and Amazon works, although at a lower rate — Gear Offer notes that eBay charges 12.9% (plus a standard $.30 fixed processing fee).1 The 6.9% fee comes from the income of the seller of the item. Head over to Gear Offer to find out more and browse around the current listings. To list or purchase photography gear sign up for an account. 1 The eBay processing fee is 10% and the PayPal processing fee is 2.9%, which makes for the 12.9% total fee.